Here is a black and white version of our poster that is easy to print out and photocopy. Help us blast these all over GA!!! If you have trouble downloading the image and want to print some out, email us at customersupport@kendamausa.com and we can send you an image file. 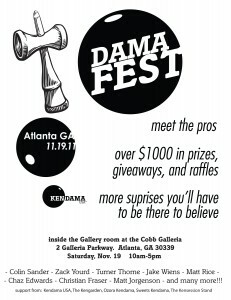 Thanks for the support, and see you at DAMA FEST!!! !